Great salaries, high demand, airtight job security, and plenty of options for mobility are just some of the perks that come with a career in web development. Learning the skills you’ll need in order to earn these benefits can be challenging, but once you’ve got them, you’ll be surprised how many doors they can open. For professionals in many fields, finding a new job can be daunting. Scores of applications can go unanswered, and the competition for jobs—even at the highest levels—can be fierce. But for many skilled front-end developers, phones are ringing off the hook. It seems like everyone’s looking for developers with great coding skills. But there’s another skill that employers prize even more. “Everyone’s looking for a problem solver,” she said. “Not just people who can code, but people who can sit down with visual and UX designers and solve major challenges.” For career changers coming from other disciplines, especially those who have significant experience working cross-functionally, this approach often comes naturally. It can also be extremely lucrative: Pugh added that developers who can demonstrate this approach often command higher salaries. 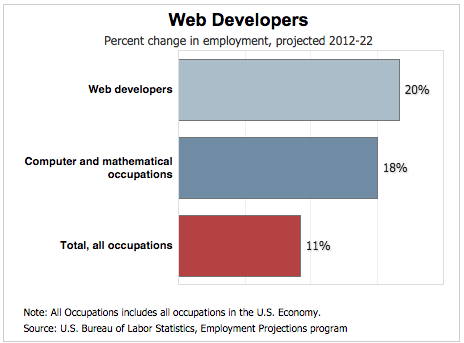 Speaking of salaries, front-end web developers have one of the most bankable skill sets on the job market today. According to Glassdoor, the national median salary for front-end developers tops more than $76,000. In markets where the competition for top tech talent is fierce, the median salary can climb above $100,000. “For a mid-level front-end developer here in New York,” Pugh said, “it’s pretty standard to see salaries that start in the low $100,000s.” For entry-level developers, salaries are still extremely competitive and often far higher than other entry-level roles. But not all job markets are created equal. Location plays a major role in what you’ll ultimately earn as a front-end developer. In fact, according to data from Payscale, geographic location is the biggest factor affecting pay for front-end web developers—even more so than experience. The seven cities with the highest average salary for developers are, from most to least dollars above average: San Francisco, Dallas, New York, Los Angeles, Washington, D.C., Atlanta, and Chicago. The lowest? Charlotte, St. Louis, Minneapolis, and Denver. 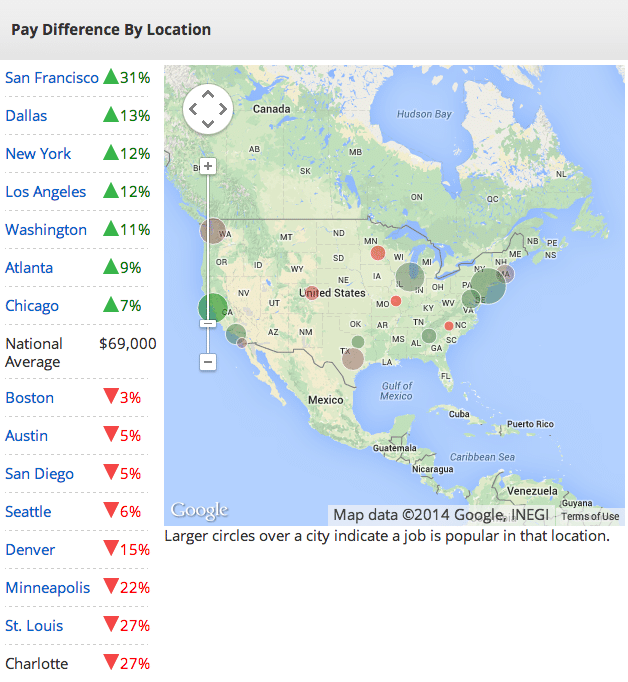 Want to check how much your city stacks up in terms of take-home pay? Payscale’s search engine lets you plug in your location and years of experience to gauge the general salary range in your area. But if you’re not thrilled with the results, don’t worry. The explosion of mobile and e-commerce makes strong coding expertise a must for a wider range of companies than ever. But this also means that the abundant supply of jobs in the field can be offset by heightened competition among budding developers. So how do front-end devs stack up against the rest? These jobs are all similarly rooted—so why the variation? One major reason is that each position plays a different but integral part in making digital technology tick, and each one requires a different skill set. Yet another reason is simple supply and demand: how many companies need people to fill these roles, and how many skilled professionals are available to fill them? While front-end devs might not top the chart in terms of salary, their role comes with some unique challenges and opportunities. They work in partnership with everyone listed above, giving them a broader role in the development process, as well as he chance to make valuable networking connections that can lead to other career opportunities down the road. Front-end development is also a pretty flexible field in terms of where and when it can get done. In addition, the amount of freelance work available tends to be just as plentiful as full-time openings. All in all, it’s a field with a lot of options. High demand, strong salaries, and loads of flexibility make front-end development a great choice for a career, whether you’re just starting your professional life or embarking on a new chapter. If you’re thinking about making a change, be aware that there’s a lot to learn—but plenty of reasons to learn it. 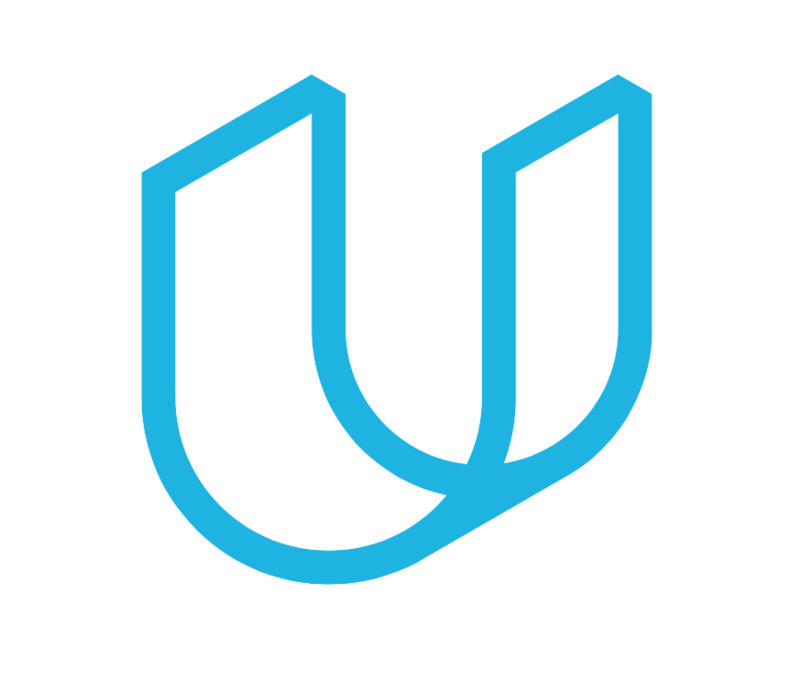 If you liked this article and are interested in learning more about becoming a Front-End Web Dev, Udacity offers a Front-End Web Developer Nanodegree to help you get started on your journey! And then how is it that I joined Udacity nanodegree front-end Development course to learn these skills, but instead I have spent most of the course trying to figure out an HTML canvas game? How does developing that game is going to help me create useful and attractive UI for a web page users? Just because is popular does NOT mean that all developer are interested in developing games. You should be more consistent with what you write on your articles to promote your courses and what students will experience when they enroll on one of them. ^^lol this. You make a good point, I would like to hear an explanation from on of the UDACity staff. Maybe they think if you can make a creative UI for a game, then you can make one for websites. The world of Front-End Web Development is a large one, with many people in many different roles (beyond gaming or even creating static websites). We've designed our portfolio of projects to give you the opportunity to show off a wide range of those skills while still serving as excellent indicators to the underlying concepts being reviewed or examined. “Maybe you’ve even dabbled with ‘Java’ once or twice.”? Implied or not, if you’re addressing a particular technical audience (Front-End Developers), the author should know the distinction, and understand how incorrect the implication is. Especially if your article discusses job responsibilities and paygrades. It’s been fixed. Thank you for noticing our oversight!